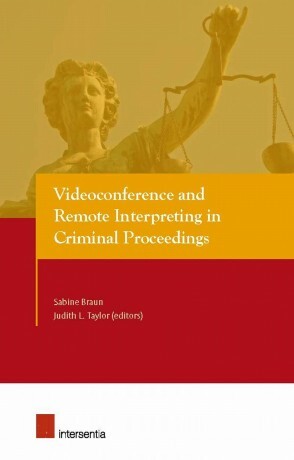 To round off this week of books, I would like to make you aware of Videoconference and Remote Interpreting in Criminal Proceedings, edited by Sabine Braun & Judith L. Taylor and published by Intersentia. The book forms part of the AVIDICUS project on video-mediated interpreting. The project website contains a wealth of information, including the content of the book here, and a number of reports and extensive resources which are available for download. 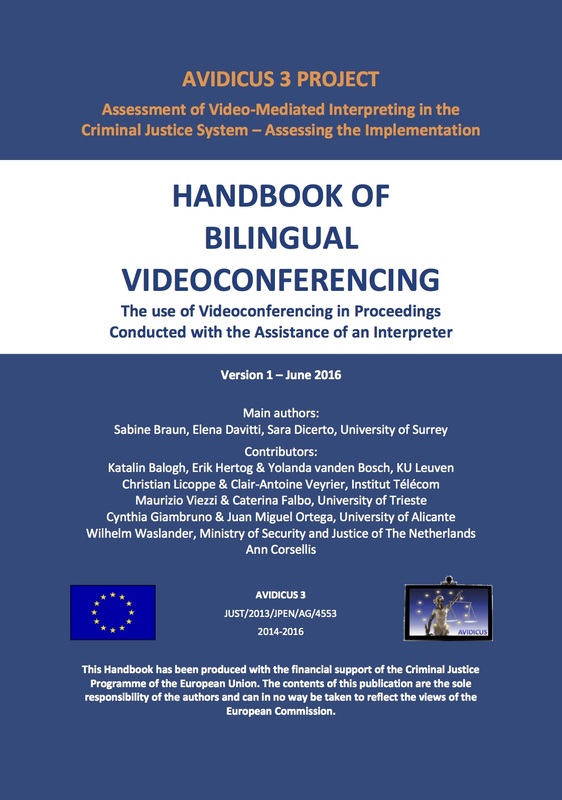 I would like to highlight the latest Research Report, published in June 2016, focused on videoconferencing (VC) solutions for legal proceedings that involve an interpreter. The project conducted a comprehensive assessment of existing VC solutions in the justice sector across Europe, and reports on such areas as procurement, equipment, uses, communication management, and working arrangements with interpreters. The report is divided into chapters describing the situation in each of the countries studied: Belgium, Croatia, England, Finland, France, Hungary, Italy, The Netherlands, Poland, Scotland, Spain, and Sweden. The 190-page report can be found here. My final recommendation is the Handbook of Bilingual Videoconferencing. It is designed to be a comprehensive guide to the use of videoconference (VC) in legal proceedings where such proceedings are conducted with the assistance of an interpreter. It is intended for legal professionals (e.g. judges, lawyers, prosecutors, court clerks, police officers) using VC in their everyday work at different levels; legal interpreters wishing to expand their knowledge about VC communication for their continuous professional development; technicians tasked with installing, maintaining and managing VC equipment, setting up and operating VC sessions; and system designers of VC systems for the justice sector. The 36-page handbook is available here. Pingback: (TOOL) (€) – Videoconference and Remote Interpreting in Criminal Proceedings | Sabine Braun & Judith L. Taylor – Glossarissimo! Could someone please tell me where I can Buy The Book? It’s free Pierangela. Just follow the links and download the section(s) that interest you. Thank you so much for sharing this Flavia.